A custom designed hopper allows for a more efficient use of production floor space by designing it to fit in readily available space rather than taking up more than is needed. The hopper can be designed to the height of the parts feeding system rather than increasing the overall height of the stand. Some products may clump together in a conveyor hopper as they are lifted which often causes variable performance in vibratory feeders. 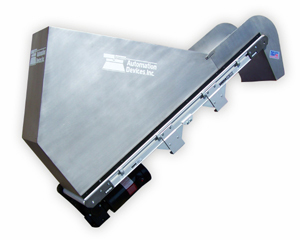 Different approaches can be taken to ensure that the device the hopper is feeding receives a consistent level of parts.